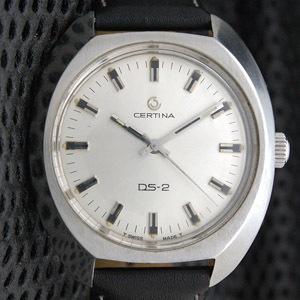 The DS-2 was introduced on the market in 1968 as a follow-up to the successful DS line that had been launched in 1959. 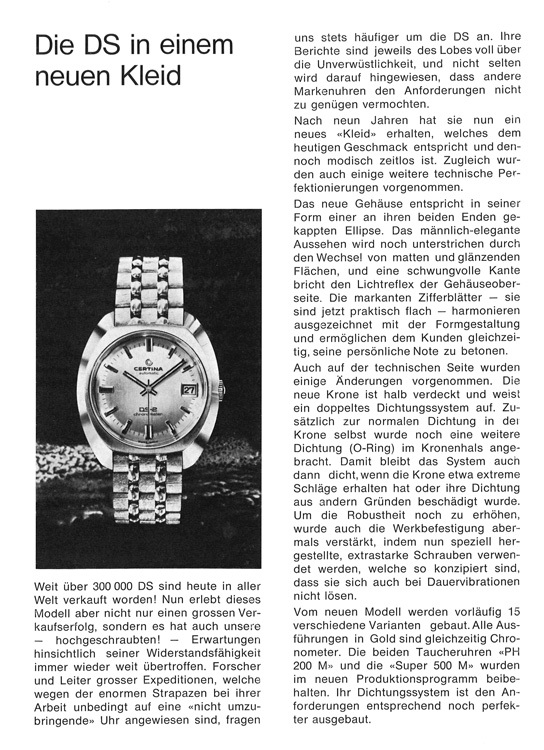 By that time more than 300,000 of the DS timepieces had already been sold. 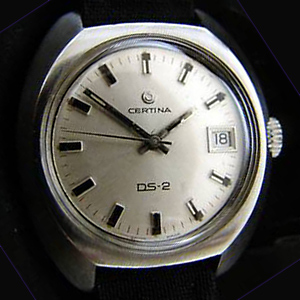 Below, you’ll find an original article on the launch of the DS-2 taken from Certina’s own magazine, called “Certina Echo” (Winter Edition 1968). The model featured many technical innovations. For example, the crown was partially hidden and used a twin-seal system. In order to increase robustness, the movement fixation was additionally strengthened by extra-strong screws. The floating movement assembly by means of a rubber ring was taken from its predecessor. 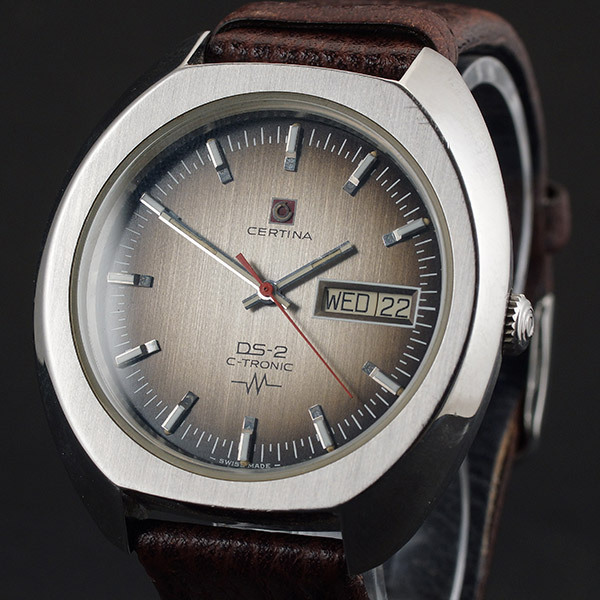 Originally the dial was available in 15 different versions. There were two different case materials to choose from: stainless steel and gold plate. The gold-coated version was marked by a 06 instead of a 01 in the reference number. 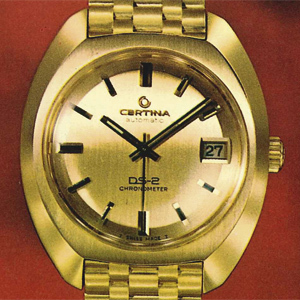 A chronometer version in 18 carat yellow gold was also available (reference 5880 300). 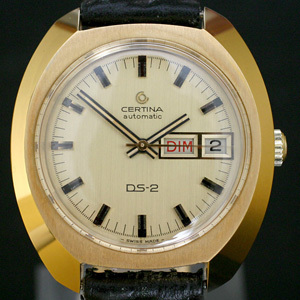 The following in-house movements were included: 25-66 (manual winding Ref. 5201 300), 25-661 (manual winding with date, Ref. 5301 300), 26-651 (“Certidate” Ref. 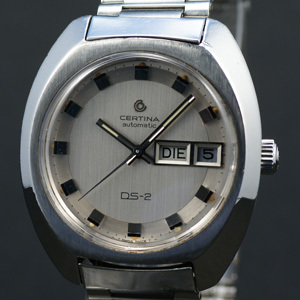 5801 300) and the 25-652 movement in the “Certiday” version with day and date (Ref. 5901 300). 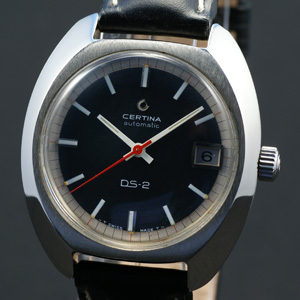 From 1975 onwards, the improved 25-651M and 25-652M movements were used, respectively. In addition to the men’s versions, smaller women’s styles were also available. The image on the right shows the floating movement assembly with the elastic anti-shock ring. This design renders the DS-2 shock-proof and resistant. Proof of this can be found in the numerous pieces that still ran like new after years, no matter how damaged the case might have been. 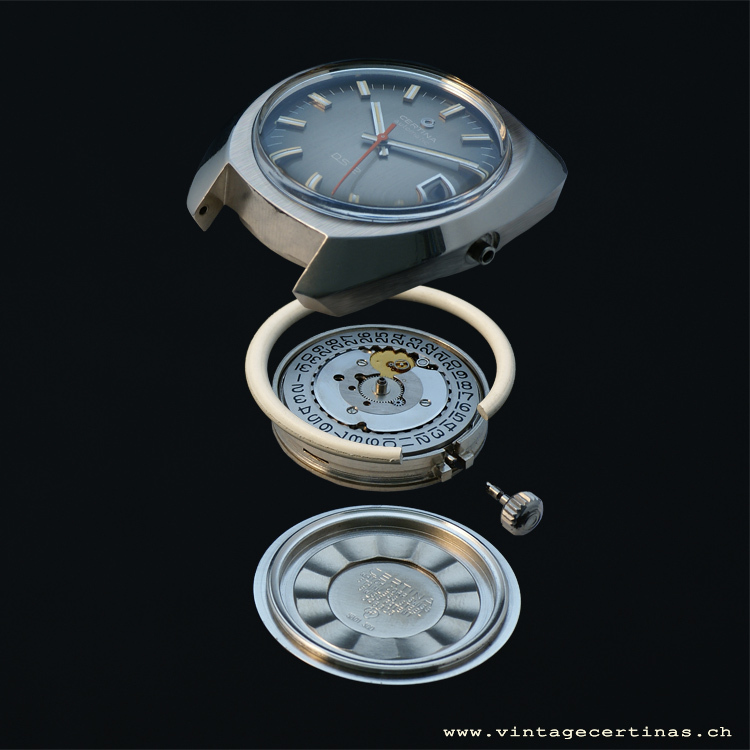 A distinctive detail of the DS-2 self-winding version is the screw-down case back with the circular wavy relief and the turtle in the centre. On the manual-winding version, you can find the turtle in the centre too but the rest of the case back is flat. LW: 18 Date without quickset. LW: 18 Case 20 micron goldplaque. LW: 18 Day and Date without quickset. 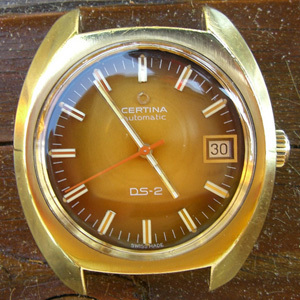 Day and Date without quickset. As far as I know, every model was available in 20 micron gold plated. In the reference number, it is 06 rather than 01. LW: 20 Tuning fork movement. Day and Date with quickset.